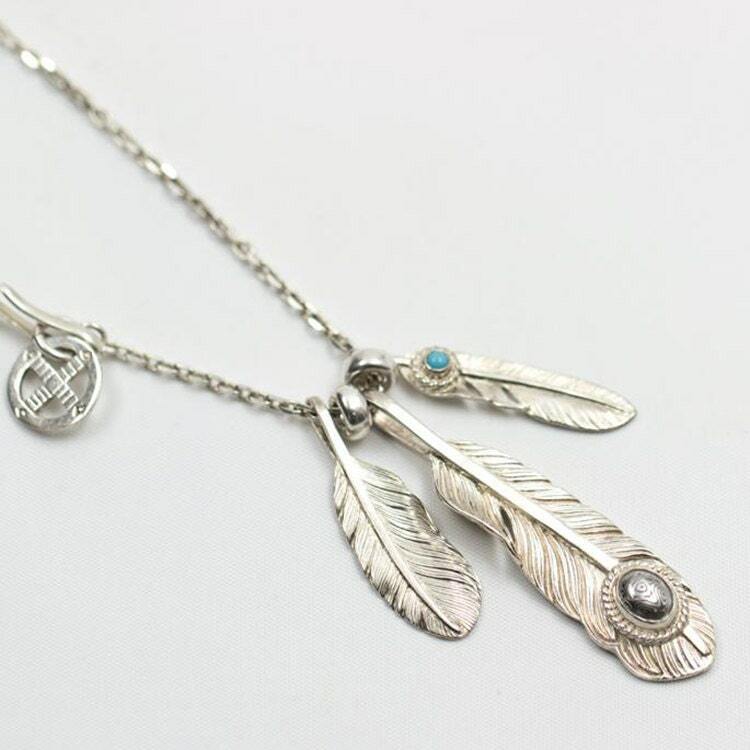 The silver feather necklace is built around a bunch of silver feather pendants. The necklace is inspired by traditional Native American symbols. 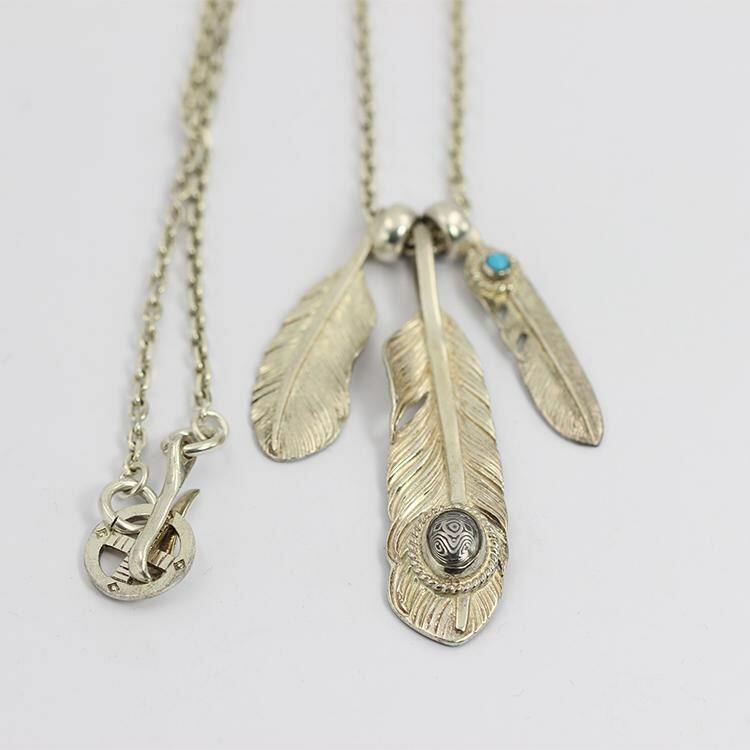 The three feather pendants are all of different sizes - representing different feathers from different parts of the wing. The largest wing has a Damascus steel gemstone - with its distinctive wave pattern. 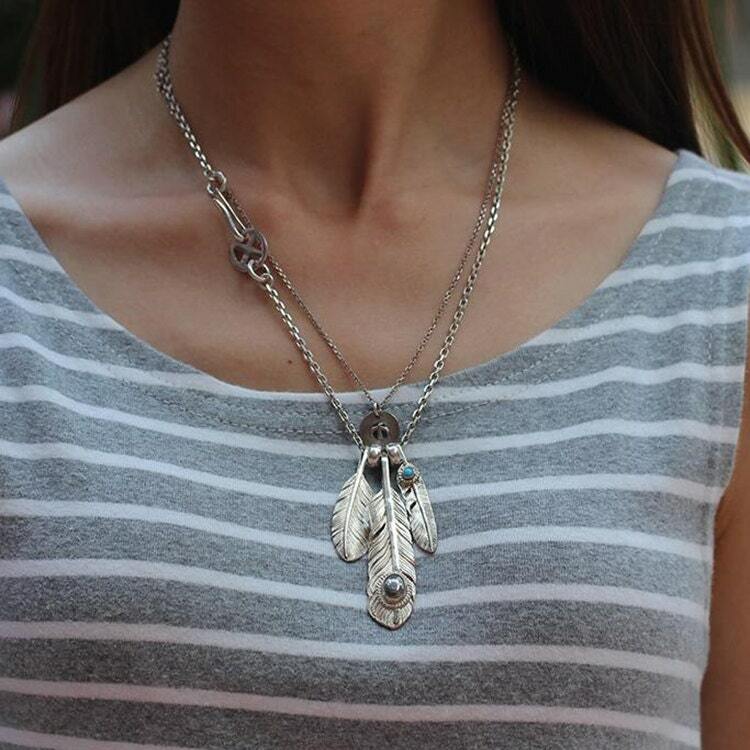 The grey color of the steel gemstone matches well with the silver of the necklace. The medium-sized feather is without any gemstone, while the smallest feather has a turquoise embedded in it. 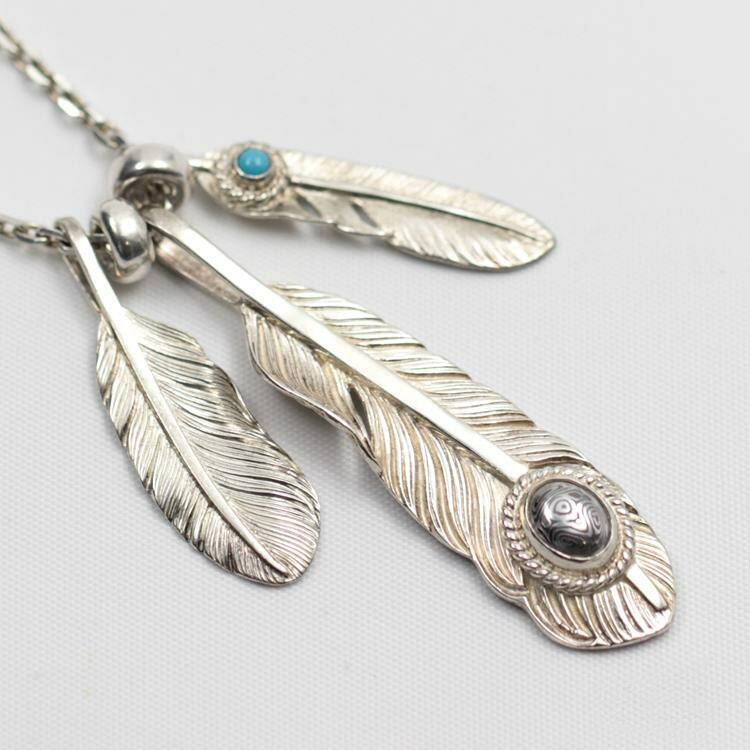 The silver feathers are separated by silver spacer beads, which also add weight to balance the chain when wearing. 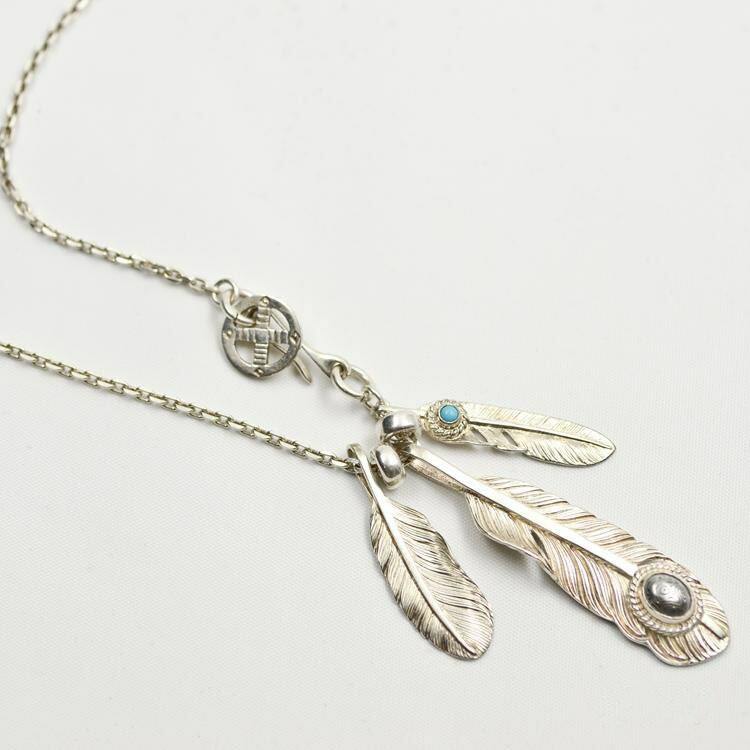 The silver chain of the necklace is slim and lightweight - to keep the complete focus on the silver feather pendants. The chain closes with a hook clasp, and fits into a stylized, carved loop. Necklace Length Options : 45cm/17.7inch, 50cm/19.7inch, 55cm/21.7inch, 60cm/23.6inch. Angle Chain Thickness: 2.3mm Thin Angle Chain. Note: The model is wearing another flying bird necklace in the image - it is not included in this purchase. It can be purchased separately. We can custom engrave English alphabets (in LARGE CAPS) and numbers (Max 7 characters) on the back of feather quill - totally free of charge!